Michelle La, goes to a study group one night and does not return home. At first, David thinks she simply came home late and left early for school. He soon realizes, however, that something far worse has happened to his daughter. He begins doing everything he can to find his missing daughter, and the rest of the movie follows his journey through the clues he uncovers on her laptop. The movie tells the familiar “missing person” story of a daughter who goes missing and a father who will stop at nothing to get her back, but the movie is anything but boring and cliché. Instead of watching the story unfold in the typical way, it was done in a bird’s eye view documentary style. Audiences view each scene of “Searching” through a screen—a phone, a computer, a security camera, etc. Viewers never directly see the characters. Instead, they see characters through FaceTime calls, webcams, and videos uploaded to social media websites. This intriguing added layer of screens is fitting to the plot of the movie, which in a large part focuses on Margot Kim’s history with using her phone, laptop, and various websites and apps. NPR that he feels that technology often gets a bad rap in Hollywood. He combines innovative storytelling techniques with a suspenseful plot line and complex characters to show audiences both the strengths and weaknesses of technology. While the movie shows how young adults can be taken advantage of via technology, it also depicts its values in communicating quickly, rallying support, and uniting families. 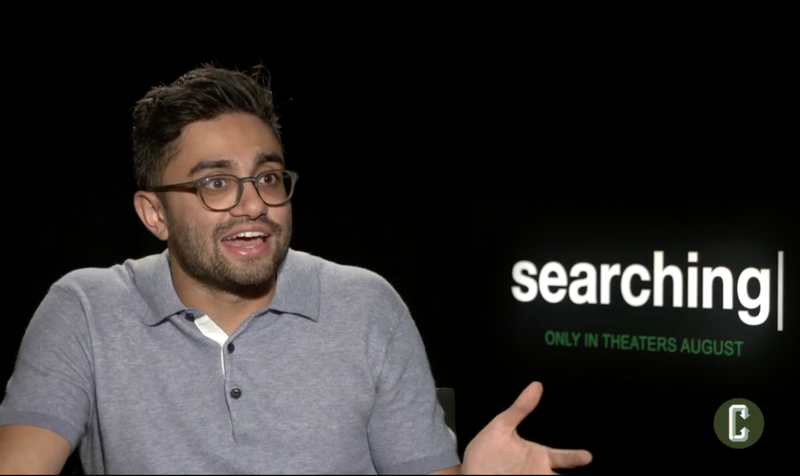 As stated in the video, Chaganty believes that technology is not inherently good or bad. It all depends on how it is used. Another unique aspect of Chaganty’s debut film is its Asian-American representation. Whereas Hollywood typically only features Asian actors and actresses in stories about martial arts, being Asian, or wrestling with cultural differences, “Searching” again takes the unconventional route. Cho further explains this idea, saying that he was glad to be part of a movie that had nothing to do with “being Asian.” Instead of only exploring Asian themes, the movie took the fact that there was an Asian family for granted, and simply told its story through them. In an age of technology and pushing for better representation in Hollywood, “Searching” is both a timely and enjoyable thriller.